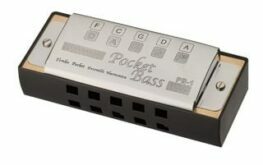 The Suzuki Promaster harmonica is a professional level diatonic harp with an anodised aluminium comb. 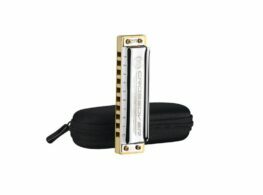 Categories: Diatonic Harmonica, Harmonicas, Manufacturer, Suzuki. Tags: Harmonica, MR-350, ProMaster, Suzuki. 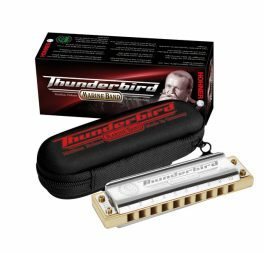 24The Suzuki Promaster harmonica (MR350) is one of our most popular upper end diatonics, and is part of the professional range by Suzuki Music. It features ergonomically designed, polished stainless steel reed covers, which provide supreme playing comfort. The comb is precision milled from billet aluminium, then given a satin anodised finish for durability and ease of playing. This provides it with a similar tone to other harmonicas which feature the same comb construction, such as the Seydel Noble, plus outstanding resistance to warping and temperature and humidity related swelling, which can afflict many wooden combs. Phosphor bronze reed plates, which are a signature of most Japanese-made Suzuki harps, produce the rich tones and clarity so sought after by professional players, and also offer great durability and lifespan. As you’d expect from a Suzuki, airtightness is first class, and the attention to detail in its construction is class-leading. Harpists who try a ProMaster often find that it rapidly becomes their ‘go-to’ instrument for all styles of music, such is its ease of playing and responsiveness. All ProMasters come with a hard shell, soft lined case to keep your harp in optimum condition. 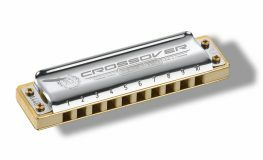 If you want an all round harmonica that can fit with most styles of music, has a great tone and will require minimal maintenance then the ProMaster is definitely one to try! The Suzuki ProMaster is available in all of the 12 standard major keys, plus low F and high G. A valved version of the ProMaster, which enables bending on the blow cycle as well as the draw is also available here. Warning: It has come to our attention that counterfeit Suzuki Harmonicas are being offered for sale through overseas sellers. 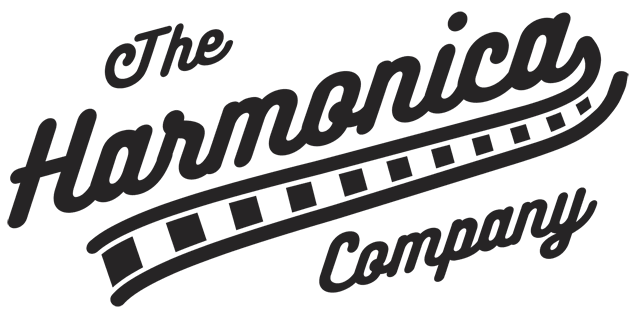 Please do not fall victim to these illegal sellers of Suzuki Harmonicas. All our Suzuki range have been purchased directly from the official Suzuki distributors.